Jimmy Carney Finds His 5k Fountain Of Youth | Run S.M.A.R.T. Jimmy Carney was kind enough to share some feedback on his latest race result while following one of our 12-week 5k custom plans from Dr. Jack Daniels. It’s been roughly 15-years since he averaged sub-7 for a 5k! 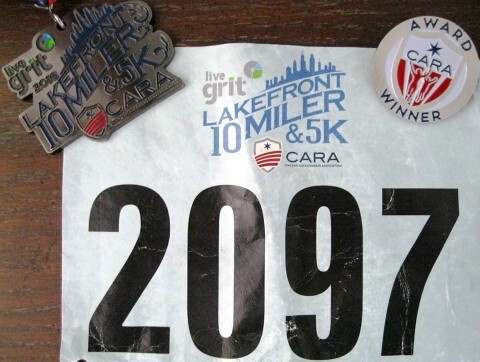 Wow – I’ve been hit with two awesome surprises today at my first 5K (3.1 miles) race of the year: (1) I finished **2nd** in my age group, which never has happened before (I think that silver is my new favorite color! smile emoticon ); and (2) I averaged less than 7 min. per mile (6:59 to be exact! ), which I haven’t done since high school many years ago. I wanted to thank my peers and coaches at The Run SMART Project and Evanston Running Club for challenging and encouraging me to become a better runner; seriously, today’s outcome was a team effort!